How to guides and case studies on practical interventions and projects which support people in crisis. From our work with food aid projects across the UK we know that people who are experiencing food insecurity are in many cases also struggling with other expenses- such as utility bills, loan repayments, childcare, or other basic essentials. With the npower Foundation estimating that 1.6 million people have “self disconnected” in the past 12 months it is clear that too many people are having to choose between food and heating. A data collection week was conducted in Bradford to provide a snapshot of the extent and causes of hunger, and to determine what kind of emergency food aid and wider support is available. The exercise was commissioned by Bradford Council and coordinated by the Feeding Bradford development worker Cathy Henwood. The Government funded Healthy Start scheme has been reported by both healthcare professionals and families to play a vital role in ensuring access to nutritious food, improving diets, and lessening the strain on household budgets. Despite the scheme being praised for its hugely beneficial outcomes the current take up rate in England is just 64%. In this guide we outline some potential barriers to individuals and families accessing the scheme, and case studies from regions which have been successful in overcoming them. When Elitsa Yakimov first heard about the Real Junk Food Project, a global initiative intercepting surplus food to be redistributed on a pay as you feel model, she knew her hometown of Chester had to have one. After running her own Pay as you feel (PAYF) cafe for the first year Elitsa found that there was a lot more on offer than reduced waste and affordable food- the cafe became a place of belonging for some of the community’s most socially isolated citizens. The Welcome Network in Cheshire West and Chester were noticing a problem: community activities in Cheshire West stopped during the holidays just when children and families needed them the most. With a high number of children receiving free school meals across Cheshire, the holidays can become a stressful time for families on low budgets who now need to provide additional meals. 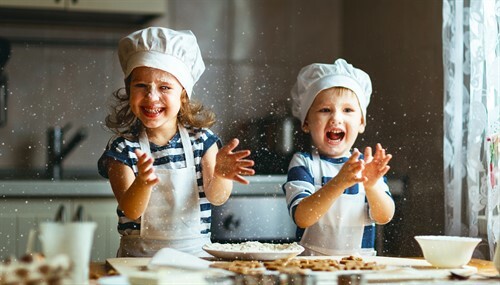 By supporting projects already established in the community, the Welcome Network has created a sustainable approach to Holiday food and fun provision. In the Autumn of 2016 the Environment Standards Manager at Stansted airport approached food banks in their surrounding area with an offer to redirect the goods surrendered by passengers at baggage check back in to the community. Harlow Foodbank takes in the bulk of deliveries from Stansted airport, enabling them to redistribute an additional 5.73 tonnes per year of non-perishable food, toiletries, and personal items to individuals and families in need.